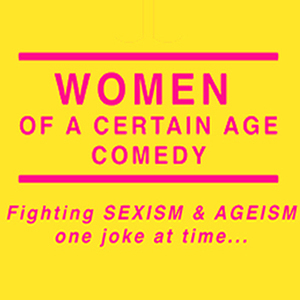 Known as the comic's comic, Women of a Certain Age Comedy creator Carole Montgomery has already brought to the stage some of the most respected names in standup including Janeane Garofalo, Julia Scotti, Cathy Ladman, Kira Soltanovich, Vanessa Hollingshead, Wendy Liebman, Tammy Pescatelli and Nikki Carr. Dozens of other comedians that have been headlining and selling out clubs and theaters all over the country for many years are part of the show’s roster of rotating comedians. Performers for this show include Ellen Karis and Leighann Lord with Carole Montgomery as host.